The upcoming payment method is not one that is commonly considered at gambling sites, but is commonly catered to, nonetheless. As this guide advances, you will come to realise that paying by phone bill has advantages that just might appeal to the factors that matter most to you. Fundamentally, this is a process where users credit a deposit to their monthly smartphone bill and then cover the cost later. 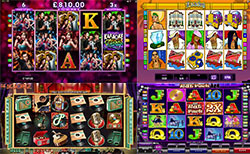 This is not a cost that you will bear at the time of the deposit, with your mobile phone operator eventually claiming the funds on behalf of your online gambling operator. • Boku: after opening in California, Boku has since expanded out of the Golden State to become a global specialist in mobile phone payments. Typically, a Boku gambling site can let you deposit up to £30 per day. • PayByPhone: this app is only available to UK users and will enable deposits of £10 to £30 each day. There is a drawback in that PayByPhone cannot be used to withdraw gambling winnings, which is a commonly shared trait in this payment field. • Payforit: the establishment of the Payforit app was jointly overseen by leading UK telecoms providers EE, O2, Three, and Vodafone. The app commonly allows for deposits of up to £30 per day, but there can be smaller limits at select sites. • Zimpler: Sweden is the country of origin for Zimpler, which was resulted in the app being more widely usable by European online gamblers. Zimpler generally works the same as the above options and is also unsuitable for withdrawals. How to deposit by phone bill? When depositing by phone bill, there is a broad system through which payments are completed. • Find a pay by mobile site: let’s begin by saying that you have already found a gambling site where you want to sign up. Now, you should scour the listed payment methods to see if the site accepts Boku, PayByPhone, or another option. • Download the app: in most cases, you can make deposits without downloading the payment app, but you should because this offers enhanced security and the ability to monitor finances. • Connect your bill: To set up the app, you have to tie it to your smartphone number through text confirmation. Depending on the app, this might be a similar “y” response to a text or else the submission of pin code. • Join a gambling site: now, you can go back to the gambling site and create your account. Next up is a visit to the cashier where you choose the method you have downloaded and set up the app for. • Process the deposit: at the cashier, you submit your deposit within the typical range of £10 to £30 and then click to confirm after providing your mobile number. The deposit will then be processed once you have confirmed the text you receive. • Daily deposit limits: every site has a daily deposit limit of up to £30, so you might have to accept a smaller bonus offer when using your bill to deposit. • Deposits add up: this is a system where you will not see every transaction coming out of your credit card or bank account on that very moment. All of your deposits for the past month must be paid for at once, so remember this to avoid any shocks. • Use the app tools: by downloading the app, you are giving yourself access to helpful tools that will enable you to track payments and see how much has been spent. • Avoid browser payments: some phone bill payment methods can complete deposits without the app, but this is less secure and reliable than having the app installed. • Withdrawals are not possible: the single biggest limitation is that you cannot request cash withdrawals to your phone bill. Therefore, you must be prepared to receive payment to an alternative method. • Stay safe: phone bill payments protect your financial details, so think long and hard about picking a withdrawal method. Is a credit card really so smart when you can phone up with your bank account details to ask for a direct bank transfer? Using your phone bill can be a quick and secure way of funding your online gambling accounts, but always try to be ready for the limitations.